Abstract Collage by Huw Griffith | Interior Boutiques – Antiques for sale and mid century modern furniture, french furniture, antique lighting, retro furniture and danish furniture. Collage on board; 1940s Spanish film posters and 19th Century French papers. Griffith depicts the passage of time by layering his materials – fragile ephemera marked by age. 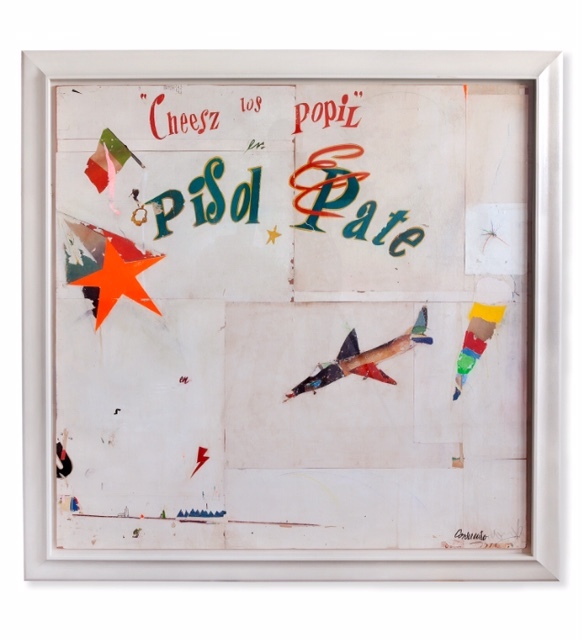 His work has echoes of archival art and Mimmo Rotella; rare documents, advertisements and cinema posters are taken apart, original images are hidden and context is lost. The emerging image is built out of the remnants, creating a bold, unconventional aesthetic from vestiges of the past. Griffith describes his technique as the art of painting with paper, a practice he feels has been largely overlooked.